Aside from C. S. Lewis, no other Christian writer of the twentieth century has had more influence on faith and understanding than the enigmatic, larger-than-life G. K. Chesterton. This anthology combines twenty-six of the most essential passages from his works--from "A" for asceticism to "Z" for Zion--offering an unprecedented roundup of Chesterton's ideas on the Christian life. Why does it make good sense to be Catholic in the modern world? How might a Christian balance the feasts of saints with Christ's call to asceticism? What is useful about holy foolishness? What's dangerous about "comparative religion"? G. K. Chesterton, whose enduring legacy is as a Christian thinker and apologist, offers his thoughts on these topics and more in this unique anthology of his work. Chesterton converted to Catholicism midway through his career of writing some of his century's most important spiritual and theological works, including Orthodoxy, Saint Thomas Aquinas: The Dumb Ox, and Saint Francis of Assisi. 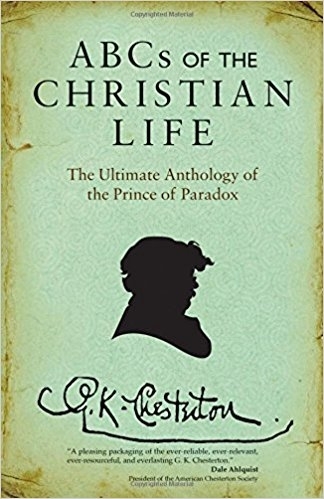 He is known for having written many memorable sentences--he was a master of witty one-liners--but as this book demonstrates for the first time, Chesterton also penned some of the best long passages of Christian literature in the history of the faith. You'll come away with a better understanding not only of Chesterton, but of the Christian faith as well.